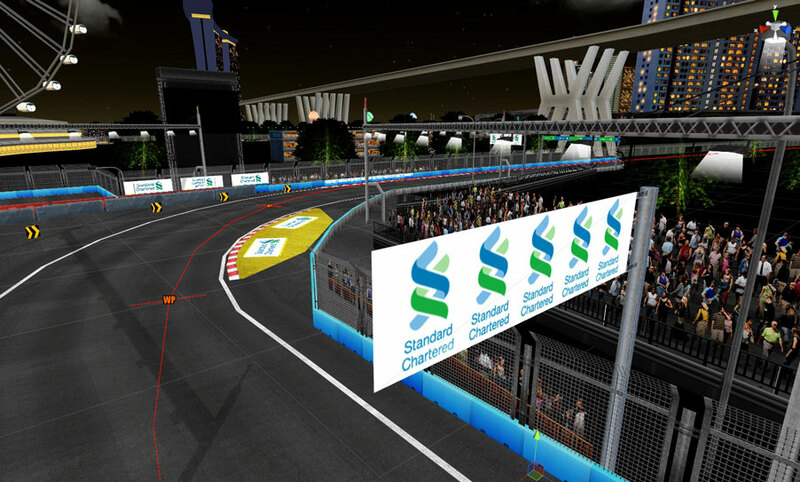 This two-part racing simulation was commissioned by Standard Chartered bank as a premium experience for their high-value clients, and installed in the bank’s exclusive Finish Line Suite at the Singapore Grand Prix in 2014 and 2015. 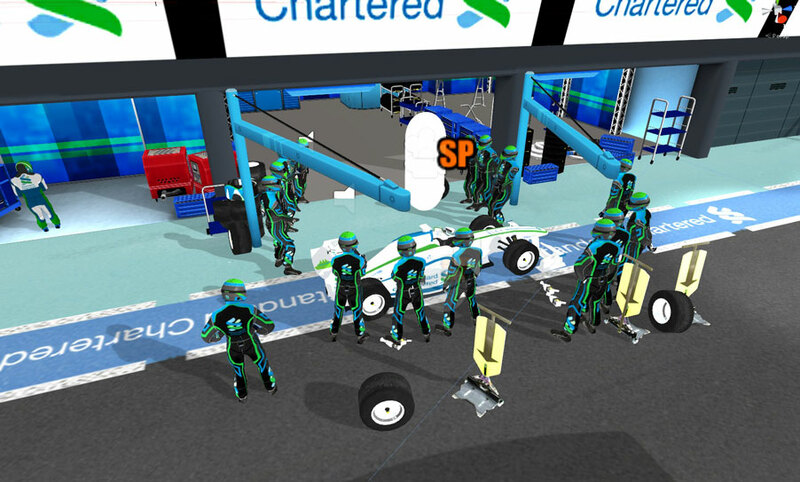 Part one places the viewer in the middle of a pit stop during a tire change, while part two literally puts them in the driver’s seat: a hydraulic chair with force-feedback steering wheel and pedals that are tied to the physics of the virtual vehicle. 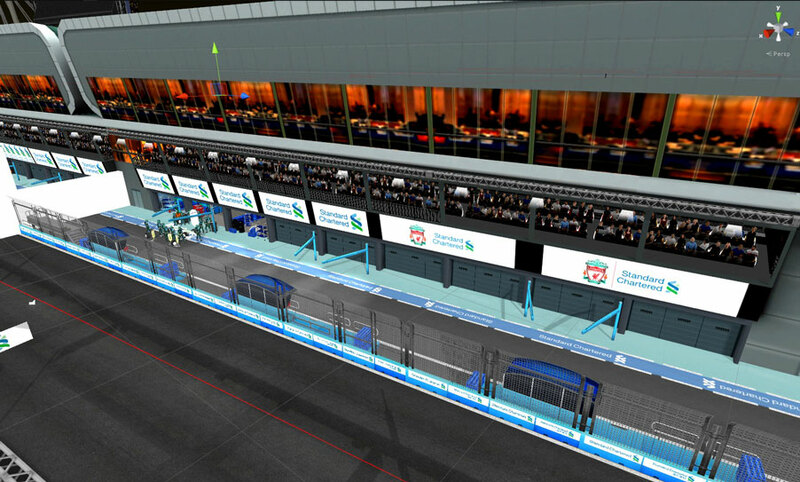 The multi-player experience lets users race their opponents in real time. 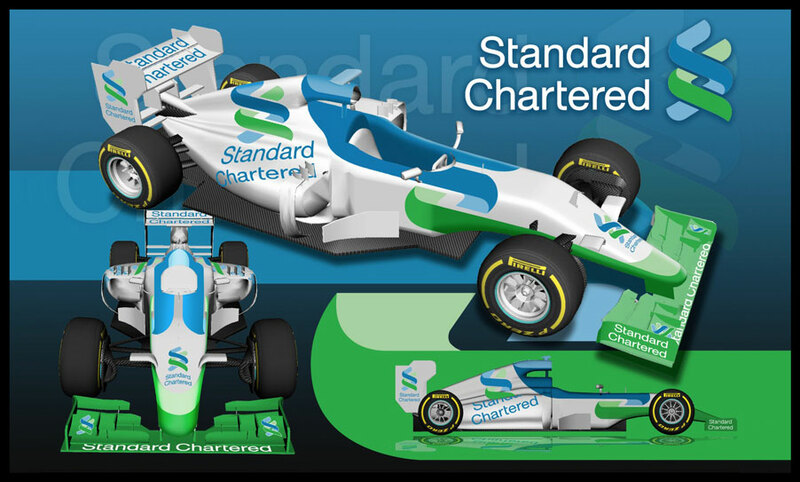 Emblematic modeled a custom Standard Chartered Bank car and uniform for the piece.